Interview with Sylvia Chang: "I consider important every single film I made and therefore I must thank all the directors I worked with"
And she indeed has learned a good deal since then. The wonderful Sylvia Chang, today an accomplished and well-established personality of the Asian and international film industry with more than 100 films since early 70’s as an actress, 15 titles as a director and more works as a scriptwriter and producer. 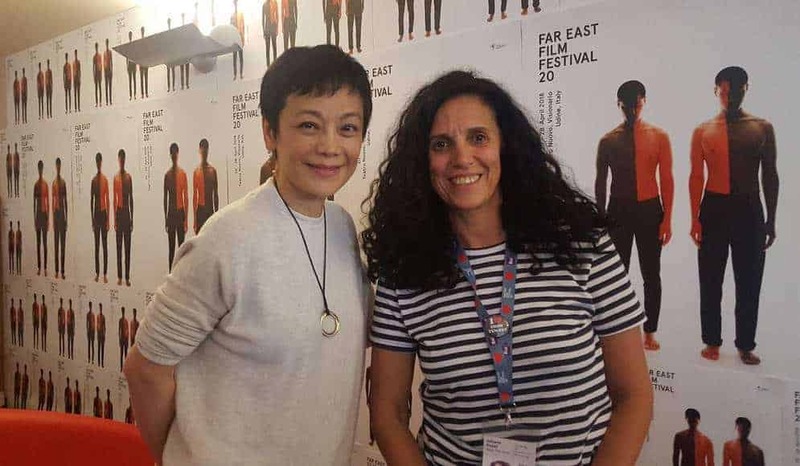 Elegant and confident, she presented her latest directorial work in Udine and jokingly scolded Sabrina Baracetti (chairman of Far East Film Festival) for not inviting her before. On the occasion of the film “Love Education” screening at Far East Film Festival, we speak with her about the concept of distance, writing realistic characters, Chinese Spaghetti and intergenerational exchanges. Mrs. Chang, you have been to many festivals around the world but it’s your first time in Udine. In what way do you think Udine differs from the other festivals? Before I came, everybody had told me that Udine Festival was very friendly and easy going. I am here now only for few days but I can say that I am eating a lot (she laughs) and also the funny thing is that a lot of people that I don’t see in Taiwan or Hong Kong, are all here! I meat lots of friends here and this means they love coming to Udine. I can relax here. You know, sometime when you go to festivals it can be very intense, because there is competition, marketing and it becomes work; you are there to work. But here I am very happy, walking around and thinking, going to the parties, all parties, it doesn’t matter if it’s the Filipino party or the Hong Kong party, they are all there. And I also find the audience very friendly and warm. But even in Taiwan, the Golden Horse Festival is very friendly too. I was chairman for the last 4 years but I have finished now, I handled it over to Ang Lee. I tried to make the Golden Horse friendlier because to me a film festival is not a competition. I think a festival should be about exchanging; exchanging ideas, exchanging stories and enjoying together. Udine is a very happy and friendly festival, and the programme is fun, with all the events going on, from yoga to pizza-making classes. I suggested to Sabrina next time I can teach a class of Chinese spaghetti. I make really good Chinese spaghetti, you know! (she laughs, she is referring to the FEFF’s trailer that this year is about spaghetti vs noodles) I am leaving tomorrow morning unfortunately! I was actually looking forward to the meditation group, as I do it regularly, but I won’t be able to participate. In you movie “Love Education” there is an overall theme linked to the land and that revolves around the ideas of belonging, distance and separation, Could you elaborate that, even in the light of your personal experience as a Taiwanese who lived in Hong Kong and other places? I am a person who travels a lot, since I was young I have been travelling from Taiwan to Hong Kong, US, Europe, but to me home is where my family is and where my love is. Therefore, to me the distance occurs if you are searching for something outside that. I find that people nowadays are always searching so much for other things, material things, fame, richness, success, whatever, but that is really away from them, the distance became big and once you have searched in that direction you end up really away from where your heart really is. This is what I am saying. I keep writing things about this theme, even my last one, “Murmur of the Hearts”. That film also deals with a kind of separation and distance. And how the idea of this story came about? The script took four years to complete. 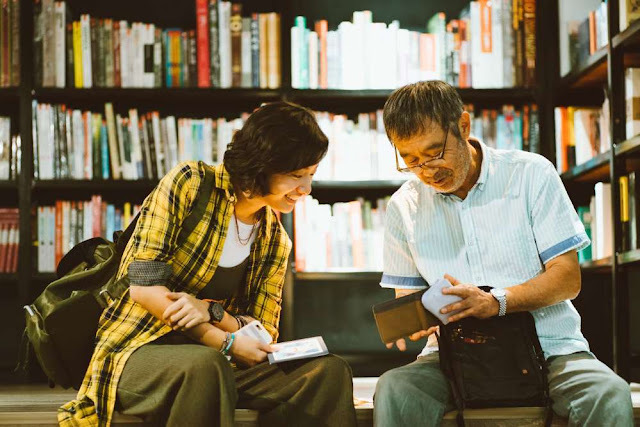 I received a first draft – I think four of five years ago – from a young woman called Xiaoying You from Chengdu, it was a story based on her personal experience with a family grave. I liked it very much but I found there were lots of things missing so I asked her many questions because I don’t live in China and I started to work on it; I knew there were so many interesting themes I could add, for example the changes of the city. There is one scene when my character and her husband go and look for their old place and they find that the place is completely gone and there is a building site instead. When I was looking for that location I couldn’t find the right one, I kept looking and looking and finally found that building site one morning, but when I took the crew there it has already changed shape. So we talked with the people there to negotiate and we arranged to go shooting the next morning, but then the next morning we went and they were already putting pipes everywhere! Can you imagine? So fast! The whole country is developing too rapidly and when this happens, mentality, education, can’t keep up, it’s scary. Technology has gone too fast but my generation … we are not there yet! People can feel really lost and the generational gap is getting bigger and bigger, that’s what scares me sometimes, it’s my big worry. Your films are often very character-based. What is your secret for writing characters that are so lively and realistic? When I have the concept, then I would write every character thoroughly, sometimes even characters that don’t exist in the movie. Like for example the dead husband whose grave is the object of an argument in the film. I wrote everything about him, where he came from, why he left the village, why he didn’t come back. I write about all the characters, because I want to have a more solid base so everybody knows every character, so they know exactly why they are saying, whatever they are saying. I want to make it natural just like daily conversation rather than making a statement. I don’t want to make statements, I want it to be lively, like real conversation, maybe saying stupid things or like having an argument like with your mum. That would create the real mood of the film and also I believe people – watching it – can relate to the characters. That’s how I do it. The narrative that includes different generations and family dynamics reminds me a bit of Edward Yang’s cinema. What did you gain from the experience of working with him at the beginning of the 80s? We were friends. At the beginnings I co-produced one of his TV movies and later we did “That Day on the Beach” together, working closely on every aspect of this movie (the first feature film of the great Taiwanese director). He was an all-round director, with a great attention to details. That attention stemmed directly from his inner world, he would never narrate a story in a superficial way, everything for him had to start in his heart and this is way his movies touches us so profoundly. He’s definitely had a big influence on me; we have a similar vision of cinema. But in my career I consider important every single film I made and therefore I must thank all the directors I worked with. In that group of directors there is also Tian Zhuangzhuang. You worked with him on “The Go Master” in 2006, and here in “Love Education” he plays the very convincing role of your character’s husband. How was directing him and acting with him? On the set, we really looked like husband and wife! (she laughs) Working with him was wonderful, he trusted me completely. Tian Zhuangzhuang is a big director and he is very respectful of others, he understood completely what I was doing and he gave me complete support in narrating this story. Had you planned to interpret Hui Ying’s character since the very beginning? Well, I have the right age for the part but at the beginning I actually searched for an actress for that role. In the end, I decided to do it myself. I knew the character too well at that point! And what did you put in the character of your real self? The feeling of fear. That fear that every generation feels facing the future, the unknown. But your character looks like a strong woman, maybe for that reason she is unable to communicate her love to the daughter. She is, but I think it’s actually the daughter that doesn’t give her the time and the space to get close; on the contrary, she does it with Nanna when she goes to the village and spends some time with her. It is a representation of one of the problems that affects current society, when communication – or the way we communicate – fail. In big cities we are all busy surviving and we end up forgetting how important the mutual understanding is. 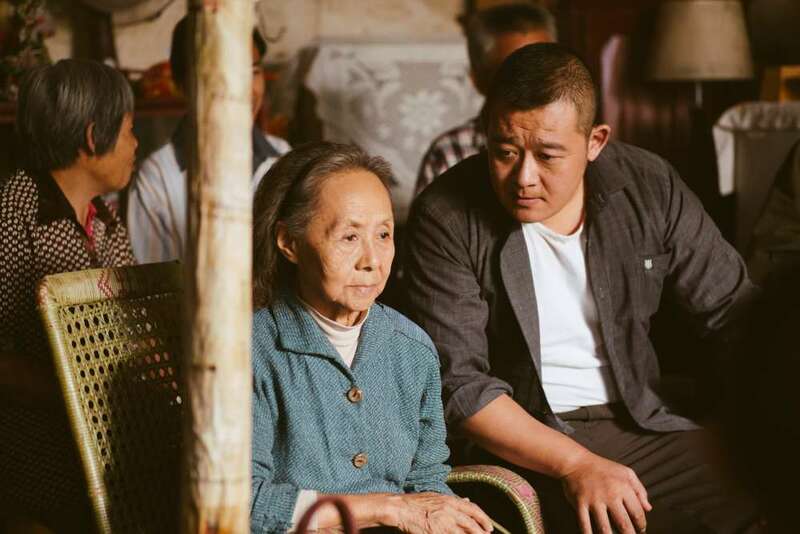 The relationship between the old Nanna and the young Weiwei is a very lovely and funny touch. Nanna is a simple woman and nurtures her attachment to the grave in the name of a memory of her love, even if that man had abandoned her to build another family in the city. The key-moment is towards the end when she sees him in a recent photo as an old man, and almost doesn’t recognize him. In that moment, she understands that she had kept a love that lives only in the past and that she can now let go. It’s like the concept of emptiness in Buddhism: we get rid of something but we keep part of it in our heart in eternity. Recently you appeared in 2017 movie “Shuttle Life” by the first-time young Malaysian director Tan Seng Kiat. Do you think that helping the younger generation of filmmakers is part of the well-established one’s duty? I have been working with many, many first-time directors and I love to do that. I don’t just help, I am also learning because our generation has got some limits and we want to connect with the younger generations and help them to connect with us. They give me a lot of new energy, you know, I worked with Bi Gan recently in China and he is so brilliant, so many new ideas that we wouldn’t have the guts to follow but they have the guts to do it. They also have the new technology nowadays that we never had and they are all using it so well. We can definitely learn something from them and they can take from us many things that I consider important. So it’s actually an exchange. It’s not really one-way, it’s both ways! And to conclude, can you give us a taste of your next project? Yes, it’s a film that I have been wanting to make for a very long time and it’s set Taiwan, in that delicate moment around 1949 when the Communists gained complete control of Mainland China and two million refugees fled to Taiwan. It’s a historical event you don’t usually hear much about, still in China many wonder what happened to the people that moved to Taiwan. It would be a story about Air Force people, because my father was in it and he was there, so I have lots of very touching stories about what happened. But it’s a difficult film to make even if I don’t want it to be a political film, only a film about people. I have been thinking about it, writing, talking with my producer and she is always telling me that no, it’s not going to pass the censor but we need a big budget and Chinese investors for such a film, It’s a vicious circle. It’s difficult.